I mentioned in my January 18, 2012 blogpost that homeowners who had a mortgage loan on a primary residence and who believe were financially harmed during the mortgage foreclosure process by GMAC Mortgage, HSBC Finance Corporation, SunTrust Mortgage, or EMC Mortgage in 2009 or 2010 can request an independent review and potentially receive compensation. The review is to determine if borrowers suffered financial harm directly resulting from errors, misrepresentations, or other deficiencies that may have occurred during the foreclosure process. The servicers will need to compensate borrowers for financial injury resulting from deficiencies in their foreclosure processes.In remarks before the 2012 National Interagency Community Reinvestment Conference in Seattle on Monday, March 26, John Walsh, Acting Comptroller of the Currency offered an update and clarification on the foreclosure reviews taking place at 14 servicers as part of the consent orders established last year. First, Walsh addressed the impartiality of the consultants conducting the reviews. He assured his audience at the conference that the consultants are not under the servicers’ supervision. They “have had no previous role in reviewing the practices or issues they are being asked to review,” and their actions are being overseen by the OCC, Walsh stated. Consultants are identifying borrowers they believe may have suffered financial harm as a result of improper processing, and borrowers themselves may request a review if they believe they were wronged by their servicers. Consultants are starting with the review of about a quarter-million loans, but they may increase the volume if they feel it is necessary based on their findings. The OCC is also attempting to reach about 4.3 million borrowers whose loans are eligible for review through direct mail and advertising. In November and December 2011, the OCC sent 4.3 million letters to these individual borrowers to inform them that their loans are eligible for review and to let them know how to request a review. According to Walsh, the OCC uses several tracking methods to find displaced borrowers, and about 5.6 percent of the letters were not deliverable. National advertising campaigns are underway for print and online media in both English and Spanish to reach all eligible borrowers. The OCC also encourages homeowner counselors to make sure borrowers they work with are aware of the independent foreclosure reviews. Thus far, the website, IndependentForeclosureReview.com has received about 400,000 visits, and more than 175,000 individuals have called a toll-free number to request information. The toll-free number and a list of servicers are available on this website. Assistance is available in English, Spanish, Chinese, Korean, Vietnamese, Tagalog, Hmong and Russian and is free. 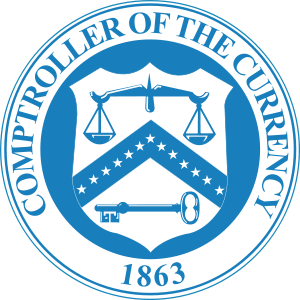 Federal bank regulators, the Office of the Comptroller of the Currency and the Board of Governors of the Federal Reserve System is monitoring the Independent Foreclosure Review to ensure a fair and impartial process. You can also visit the Office of the Comptroller of the Currency, the Board of Governors of the Federal Reserve System, the Prevent Loan Scams, or the Loan Scam Alert websites for additional information. In total, about 121,000 borrowers have requested reviews, expressing grievances such as they received improper fees, their servicer incorrectly calculated their mortgage balance, their payments were improperly processed, or they encountered issues with a loan modification. When consultants do find that a borrower suffered financial harm because of actions by a servicer, the servicer will need to provide remediation, which may range from reimbursement of lost equity, repayment for expenses plus interest, or repealing a foreclosure. “There are no caps or limits to the amount of compensation that will be paid out or remediation actions that will be offered,” Walsh stated. This entry was posted in Uncategorized and tagged Board of Governors of the Federal Reserve System, Federal Reserve System, Independent Foreclosure Review, Loan Scam Alert, National Interagency Community Reinvestment Conference, OCC, Office of Comptroller of the Currency, Prevent Loan Scams. Bookmark the permalink.